Tree Plantation Paragraph: Trees are an essential part of our environment There can be no doubt about the usefulness of trees. We need oxygen for living and trees to provide us with oxygen. Trees cause rainfall and thus prevent the spread of desert. Trees save our land from erosion and maintain the fertility of the soil. Trees give us shade. Trees give us food. We get crops and different delicious and juicy fruits from trees. Trees give shelter to many animals, insects, and birds. In this Way, trees help maintain ecological balance. We also get many products like wood, leaves, rubber, resin, fragrance honey etc. from trees. Paper is made from Wood and bamboo. We use wood as fuel and also need it for making things like houses, boats, and furniture. Trees make our world beautiful. It is very charming to look at trees. But the world is losing its trees in huge amount every year. We cut a lot of trees and destroy many forests for frazzling $30 cities, making new houses and for getting more Wood. If this trend continues, there will not be enough trees for maintaining ecological balances. Many countries are already turning into deserts due to the massive cutting of trees. Many species of birds and animals have also become extinct for want of food and habitat after the destruction of forests. Hence it has become an emergency to plant more trees. In Bangladesh, the rainy season is the best time for the plantation of trees. We can plant trees in any open places. around our houses, office buildings, factories, schools colleges, and hospitals. We should also plant trees on either side of the roads and in all available places. Tree Plantation Essay – Man lives in nature. They depend on the possibility of the assistance of nature. Availability of different natural resources like soil, water, coal, oil, gas etc. are influenced by trees and plants. Trees are closely related to human life. So, trees play an important role in both our life and economy. Bangladesh is a deltaic region country. Sea-beaches and low-lying unused lands can be used for tree plantation. We can plant trees on the banks of ponds, on the banks of dams and on both sides of highways etc. Again in the villages, there are many places which can be used for tree plantation. June – July is the proper time for tree plantation. Tree plantation programmes should be expanded to the remote corners of the country. People must be convinced of the need for planting trees. Every year “Tree Plantation Week” is held. The contribution of trees to the life of men is spectacular. Trees will solve food problems to some extent. These are a great source of food and vitamins. They meet up our vitamin deficiency. We get rich fruits and life-saving medicines from trees and plants. We also get timber from trees. We use the timber to make furniture, doors, windows, boats, and ships for our domestic use. Green plants play the most important role in keeping the atmospheric balance by consuming carbon dioxide and releasing oxygen. So, removal of plants and trees would disturb the composition of natural air. Natural calamities such as floods, cyclones, droughts are frequent affairs in Bangladesh. Trees give shade and shelter to people. Trees make the land fertile and save us from erosion. Trees cause rainfall and beautify nature. They keep the environment cool and protected. Trees are also used as fuel. Indeed, trees are constant companions of our daily life. Finally, we can say that trees are our national assets. We should luke massive programmes for plantation of trees all over the country. it may be noted that public awareness should be made to avoid cutting of trees. Hence, we should strive to make forests nearly all over Bangladesh. 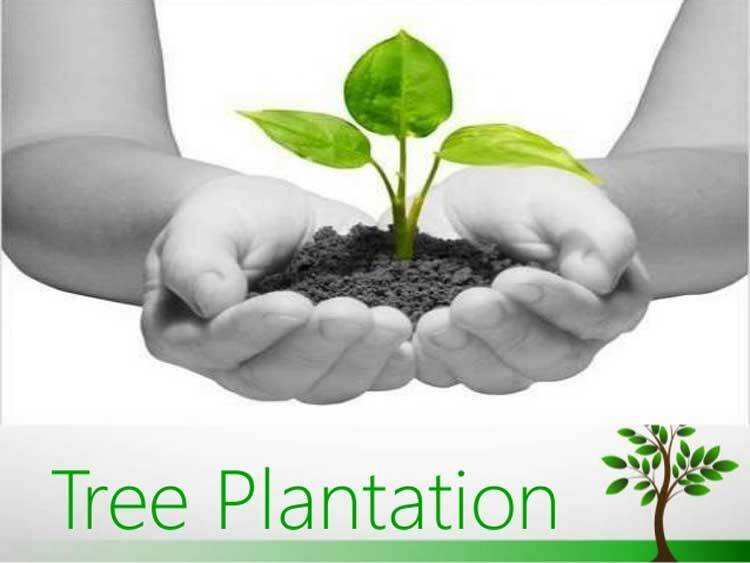 Paragraph On Tree Plantation – Tree plantation means planting more trees in a planned way. It is very necessary for the environment. Trees are our best friends. They give us oxygen. They also give us shelter, shade, foods, fruits etc. They help our environment in many ways. They prevent soil erosion. They make our land fertile. They save us from droughts, floods, cyclones etc. If there are no trees, our country will turn into desert. Different kinds of natural disasters will come. People will suffer from a shortage of food, shade, and oxygen. A country should have at least 25% of forest lands. But there are no sufficient forest lands in our country. So, the necessary steps should be taken to have more trees. People should be conscious of planting more trees. The mass media like TV and radio can play a great role in this regard. To lead a peaceful life, we have to plant more trees. Tree Plantation Composition – Trees are our best friends. They play an important role in our life and economy. Trees are the most important gifts of nature. Since the dawn of civilization, man has a close relationship with nature. They help us in maintaining the ecological balance which is essential for the preservation of life on earth. The usefulness of trees beggars description. They help us in many ways. They provide immense wealth with us. We get different kinds of foods and ‘nutrition from trees. They give us various kinds of fruits, such as mangoes, jackfruits, blackberries, oranges pineapples etc. These fruits make us healthy and protect us from diseases. Trees help us to exist on earth by taking carbon-dioxide and giving off oxygen in the air. They give us shelter and shade. They make our land fertile and save the soil from erosion. They also give us timber which has great economic value. lands can also be brought under tree plantation. Moreover, there are many places in the villages which can be used for tree plantation. Our lives and environment largely depend on trees. So, to lead a happy and prosperous life, we should plant more trees. Earlier it was an adage with a sense of benevolence and philanthropy. But at present, it has become and essential slogan indeed. In fact, instead of the didactic flavour that is attached to the statement, it is time for us to add to it a flavour of commandment. Consequently, this should be the slogan of the time: we all must plant trees or die. Unfortunately, such is the reality. Tree plantation has become an obligatory responsibility today. The balance of our ecosystem, the equilibrium of various sub-systems of the earth, in a word the total health of the earth and nature is now greatly depending on the existence of trees, plants, herbs, and shrubs. This fact needs to be elaborated a little. Human beings and animals on earth are breathing in oxygen from the air and breathing out carbon-di-oxide. Every moment a huge quantity of fire is being made on earth for various purposes. As we all knew, fire needs oxygen to thrive on. In other words, it is oxygen which gives life to fire. Again, fire, by burning things composed of carbon, is producing carbon-di-oxide and emitting it into the air. As a consequence, two things are happening: one, the amount of oxygen is diminishing from the atmosphere and two, the amount of C.F.C gases is increasing. The inevitable consequence of the first phenomenon is that life on earth is being threatened. And the equally dangerous consequence of the second phenomenon is the destruction of the ozone layer of gas over the earth. The ozone layer saves the earth by protecting ultra-violet rays of the sun as well as of other cosmic bodies. The layer absorbs such life-destroying rays. But a destruction of this layer means the intrusion of such rays into the atmosphere of earth. which, understandably, is fatal to the existence of life. But there are solutions to this problem. And the most important solution is to plant more and more trees. Trees and all kinds of plants produce their own food inside their cells by a process called photosynthesis. In this process they use carbon-dioxide us an input and produce oxygen as an output. This oxygen they emit into the air. Thus the balance of gases in the atmosphere is maintained if sufficient trees exist on earth. Therefore, it is time for us to become conscious of the merits of tree plantation. Everywhere, in every piece of land or pasture, even around our houses where there are slices of land unplanned, there should be trees. Towards this purpose we have to build up social awareness. Exemplary initiatives need also to be taken of the part on the government. Moreover, all non-government institutions should come forward with this timely slogan : Let us plant more trees and save our planet. 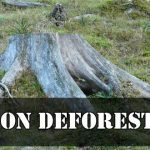 Tree plantation essay -Introduction: Since the dawn of civilization man has a close relationship with nature. The man has established a friendship with nature. It helps us in many ways, Similarly, trees are closely related to our life. They are our friends, Trees play an important role in our life and economy. The scope of the plantation: Bangladesh is a lower riparian country, Upper levels are the best suitable places to plant trees. Sea beaches and low-lying unused land can be used for tree plantation. There are many roads and highways in our country. We can plant trees on both sides of those roads and highways. Again in the villages, there are many proper places which can be used for tree plantation. The sides and areas that are lying unused can be used, too. Proper time of tree plantation: June and July are the proper time to tree plantation. Tree plantation programme should be expanded to the remotest corner of the country. The officers connected with this programme should take proper steps and needful measures to make it a success. They should try to make it popular all over the country. They should come forward with their best knowledge. Most of the people of our villages are illiterate. They have no knowledge about the plantation of trees. Attempts should be made to make them aware of the importance of tree plantation. Usefulness: Trees are very useful to us. We get oxygen from them. They are a great source of food and vitamins. There are various kinds of fruit trees. They give us various kinds of fruits which are rich in food value and vitamins. They meet up our local demands. They also meet up our vitamin deficiency. As a result, people can keep their body fit and sound by eating fruits. Again we export fruits to many other countries and earn a lot of foreign exchange. Trees are our constant companies in our day to day life. We use them for various purposes. We cannot think of our homes. houses, residences etc. without trees. We use trees to make furniture, windows, doors for our domestic use. Again valuable furniture is made from these trees. Thus trees add the beauty to our dwelling places. We export valuable furniture to foreign countries. Its impact on climate: Trees bear a great impact on the climate. If we destroy trees at random, one day the country will turn into a great dessert. The country will bear the consequences of greenhouse effects. Again there will be no rain and as a result, the country will face a great crisis because ours is an agricultural country and our economy largely dependent on agriculture. Again our agriculture is dependent on rain. So trees play a vital role in our climate. Trees keep the soil strong. Trees save us from flood and many other natural calamities. Deforestation: The cutting of trees means deforestation which has greenhouse effects on the land. It also destroys the balance of nature and increases the warmth of the earth.